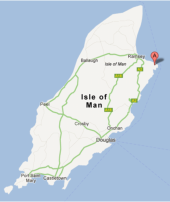 Isle of Man holiday cottage in Ballafayle close to Ramsey. Ideal for couples or for a family looking for a relaxing rural break. Stunning views. Car parking. Welcome to the 4 star Croit Rance Holiday Cottage in Ballafayle on the Isle of Man. This traditional two bedroom Manx cottage enjoys a beautiful rural setting and boasts stunning views across the Maughold countryside, Maughold Head and Port Mooar. The cottage sleeps 4 guests and is ideal for a family holiday or for a couple seeking a romantic break. 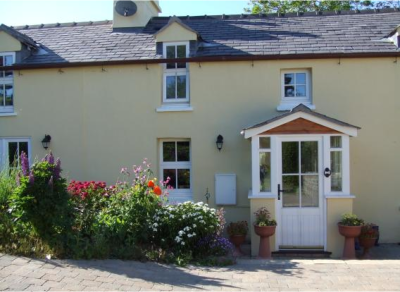 Croit Rance Cottage is located next to the Manx Electric Railway which connects Douglas, Laxely and Ramsey making us the ideal base from which to explore this wonderful part of the country. We are located within easy reach of Ramsey which is the second largest town on the island and amenities are available nearby. We are a haven for walkers and there are walks from the doorstep. The cottage is well equipped with everything you will need for a self catering holiday. The lounge is bright and has comfortable seating, the kitchen is modern and there is a separate dining area. The two bedrooms are comfortable and cosy, perfect for a good nights sleep. There is also a family bathroom with rolltop bath and separate shower. A cot and extra bed are available if necessary. Parking is available on site. The cottage also has a garage if required. Croit Rance © 2012-2015 - Design by SpringTiger - Host Isle of Man.